Know what it is? Of course you do. After all, this is your stock and if you don’t look after them, apart from the well being of your animals, your livelihood will be at stake. 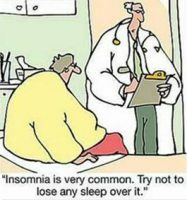 That’s why you know all about this condition. Of course you know what this condition is. After all, you’re a vet. You will have been taught at veterinary college about this problem and how to recognise it and treat it promptly. Experience in the field has given you additional understanding and practical knowledge on what to look out for and how to give the most efficient treatment. If you are a botanist and your profession is dealing with plants and you came across a plant looking like the one in this picture, you would know what it was wouldn’t you. 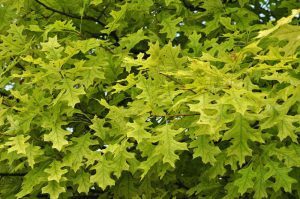 Just looking at the yellowing leaves would give you a clue to what was wrong and you would be able to rectify the problem. You know why leaves are green and you know about photosynthesis. The fact that this plant is pale and yellowing, gives you a good idea as to the reason why it’s looking so wan. It is autumn and you know why the leaves are changing colour from greens to reds, oranges and yellows. You know that leaves lose chlorophyll as winter approaches. You know this triggers nutrients to be taken from the leaves and stored in the bark and roots over winter for recycling. So your plants are not doing too well. The leaves are looking pale with only the veins showing green. If you are an experienced gardener, you’ll know exactly what’s wrong with your plants if they have this symptom. You know what to do to bring your plants back to health and the treatment is a simple one using a certain compound dissolved in water and sprayed onto the leaves. In no time, your plants will be lush green again and looking their best. You also know how to give a plant the best possible start when being planted or replanted. Putting a certain compound into the soil will ensure healthy greenery and produce high yields of fruits and flowers. You know that without this nutrient your vines will not survive. Of course, you have a pretty good idea what the problem is, don’t you? After all you are a doctor. You’ve been trained to look out for these symptoms with regards to this condition, haven’t you? The farmer down the road knows what it is, the veterinary surgeon treats this condition on a regular basis. The botanist could give you a clue straight away and the gardener has seen signs of this problem in his plants frequently. 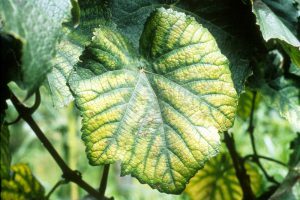 The owner of the vineyard has to look out for it and knows what to do if his vines come down with this deficiency. Why is it that all these other professionals can deal with this condition in animals and plants and give the correct treatment but a doctor, doesn’t even know what it is! Because of this lack of knowledge, the patient could be mis-diagnosed and probably given a drug which is entirely unnecessary and could cause dangerous side effects. Drugs will only make it worse! Giving a drug instead of the nutrient, the lack of which causes these conditions, will only exacerbate the problem making the deficiency of this mineral even worse. If this deficiency is not addressed, no matter what you do, the patient will deteriorate and die prematurely. 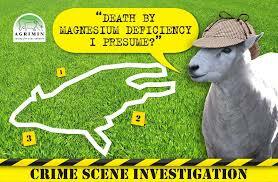 Yes, you’ve guessed it, it’s Magnesium deficiency. Why is it that farm animals and plants are given the correct treatment for this condition but in humans it is not even recognised or diagnosed by our doctors? If it’s recognised, it is completely ignored and a prescription drug given instead of a good quality Mg supplement. Have you noticed a similarity between the symptoms of the cattle and sheep and the symptoms in humans? Apart from those symptoms that we can’t ask the animal about, like a headache or stomach pain, other symptoms such as weakness, fatigue, anxiety, twitching, muscle spasms and seizures are symptoms that can be observed and are the same in both animal and human. Animal cells and human cells are basically the same, afterall we are animals too. 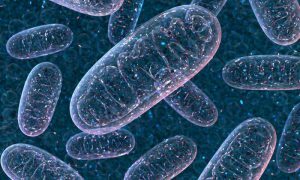 All animal cells have mitochondria within them and mitochondrial dysfunction is now known to be at the root of all illness. 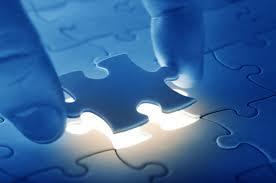 If we fix this dysfunction, we fix the condition. You cannot fix a magnesium deficiency and hence the mitochondrial dysfunction with a drug. As allopathic medicine is drugs based, this means that the medical fraternity will not be inclined to prescribe a natural medicine in favour of a drug. Hence, mitochondrial dysfunction will remain within the patient’s cells no matter what drug is prescribed. The patient will slowly decline despite and/or because of the drugs which at best will only manage the symptoms of the disease and at worst cause side effects which can result in a decline in health and elicit other serious illnesses such as diabetes, cancer and heart disease. I’m wondering if I should go to my vet next time I’m not feeling too well. I think I may probably get just as good treatment if not better. He would certainly be able to tell if I had a Mg deficiency! IMHO, if the population of the world was treated for Mg deficiency, hospitals would be half empty and prescription drugs drastically reduced. Not a popular concept for Big Pharma! I have the best solution for magnesium deficiency… It is magnesium oil – studies show that magnesium will absorb better and faster through the skin! I use it after workouts and before going to sleep and my muscle spasm are gone since I started using it! I used to take Magnesium pill but there are so many additives in it that I prefer oil more – it is just a lot more beneficial! Hi Melissa and I’m pleased you enjoyed the post. You are surely right about using topical magnesium especially for those that are susceptible to the laxative effect. We personally use mostly magnesium chloride solution which we make up ourselves using only the best quality magnesium chloride salts. Magnesium citrate powder is especially good for constipated kids (very common) who baulk at having pills or topical applications. It is highly bioavailable and tasteless and can be put into food at an adjusted dose for each child. I am always so pleased when someone comments on a post confirming that they are a magnesium supplement taker. You will surely reap the benefits of good health from it! I get really upset when I see so many middle aged and older people, struggling with sticks and walkers when a really good quality magnesium supplement taken daily would probably get them moving more freely and stop most of the pain. Please spread the word and hopefully make a difference! That is indeed the question isn’t it? 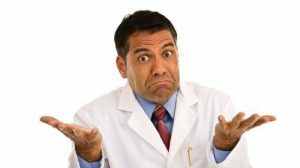 Why do doctors not know or do not diagnose Magnesium deficiency? You’ve raised a very interesting point here. One would think that these doctors would have the best interest of their patients in mind. But unfortunately, I would dare say this is no longer always the case. The healthcare system has become a business these days. It comes down to how they can squeeze as much as they can out of you I think. This is even more true say for example in treating cancer diseases. They make more money in selling medicines and utilizing expensive treatments than correctly and appropriately treating the disease. This now the unfortunate truth of the world we live in these days. Hi Mark and thanks for your comments which confirm exactly what I feel too. We are in a greedy, power hungry, money grabbing world and all this at other peoples’ expense and most importantly at the expense of our health, whether it be drugs, crap food, toxins or misinformation. We really have to change our paradigms and realise that the pharmaceuticals, food producers and unfortunately the medical profession have no interest in our welfare. Profit is the name of the game and we are all being betrayed by those authorities that we used to trust, including many of our medical professionals. The only way we can counteract this abuse is to take our health into our own hands and start researching our own conditions and illnesses so we can make an informed decision about what treatments we should use or not as the case may be.